Set up just got a whole lot easier! 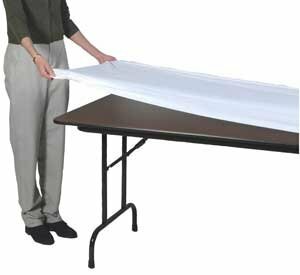 No more hassle of setting, taping and re-taping with our elastic-corner tablecovers. Go in seconds and stay on, even in wind! 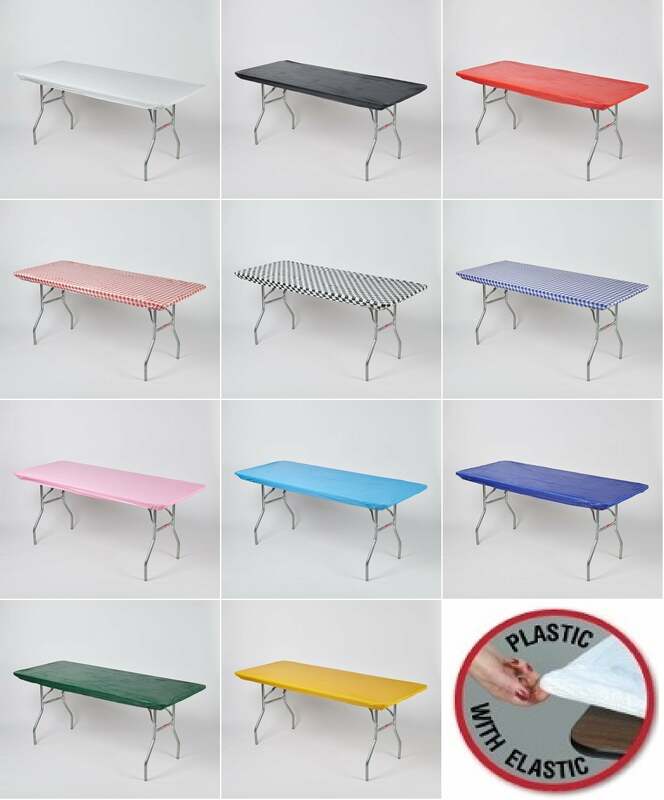 Easy to clean and yours to keep, use them over and over!